Where Can One Read All About Lupus Disease? Numerous online resources discuss lupus, its causes, symptoms, diagnosis and treatment, including the Lupus Foundation of America, the Mayo Clinic and articles on sites such as Medical News Today. Additional information is found at the Alliance for Lupus Research. Lupus is an autoimmune disease, which means the immune system attacks the body rather than protecting it against foreign invaders. Symptoms vary, but most commonly the signs include extreme fatigue, a butterfly-shaped face rash, painful arthritic joints and a fever not associated with another illness, such as cold or flu. The disease need not be debilitating, although symptoms may flare up then disappear for periods of time. While incurable, drug therapy successfully manages lupus. Nine out of ten of those with lupus are female, according to the Alliance for Lupus Research. What Are the Causes and Symptoms of Vertigo? What Causes a Butterfly-Shaped Skin Rash in People With Lupus? 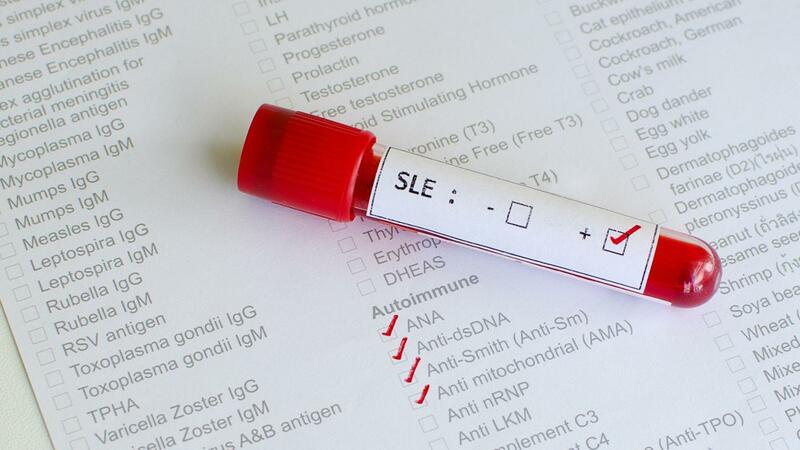 What Are Some Symptoms That Lead to the Diagnosis of Lupus? What Are Some Causes of Lupus? What Does a Lupus Skin Rash Look Like? What Are the Causes and Symptoms of Asthma?